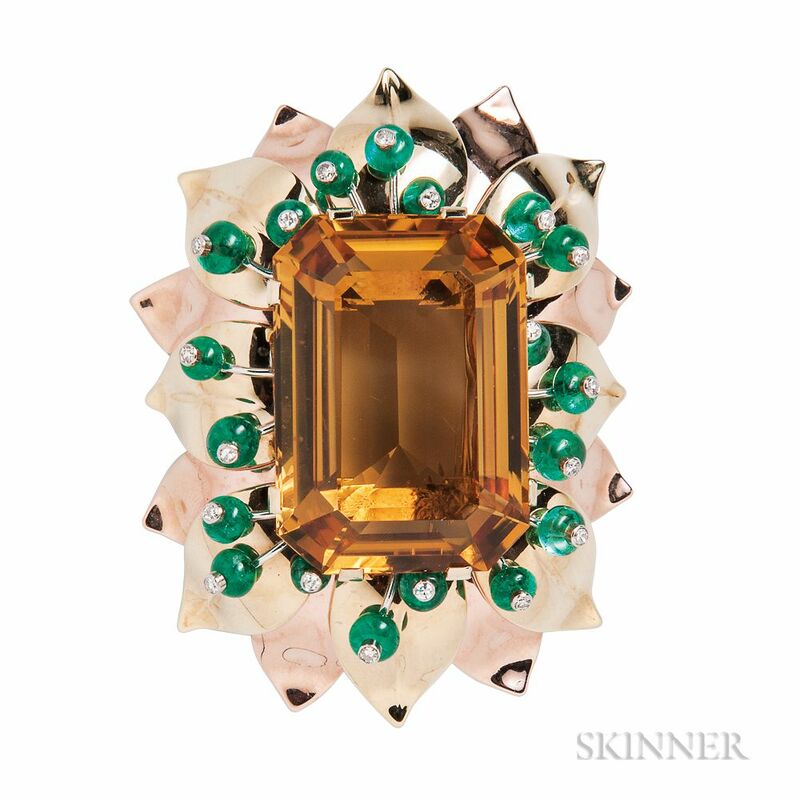 Retro Bicolor Gold and Citrine Clip Brooch, J.E. 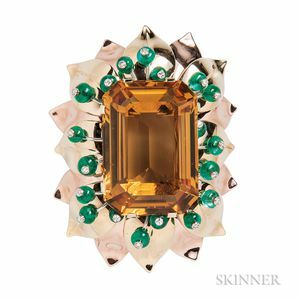 Caldwell & Co., centering a large citrine with emerald beads and single-cut diamond melee accents, in a foliate frame, 2 1/2 x 1 15/16 in., no. N6519, signed.